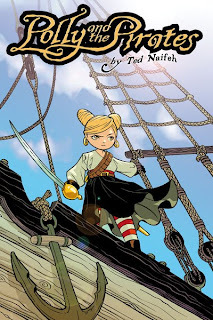 As I have enjoyed Ted Naifeh's Courtney Crumrin series immensely, I was excited to read this first book of a new series, Polly and the Pirates. Although I received it as a birthday present, my eleven-year-old daughter swiped it and read it before I had a chance to, and she gave it glowing reviews. This is definitely a departure from the dark and otherworldly atmosphere of Courtney Crumrin and The Good Neighbors, as it is a swashbuckling historical sea adventure - but Polly, while very different from Courtney on the surface, does share her grit, determination and self-reliance. The story opens with Polly at boarding school, where it appears she is an intelligent conscientious, rule-abiding student. 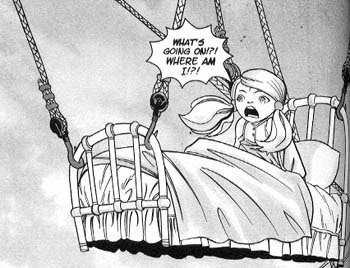 But when she is abducted in the middle of the night (in her bed) and awakens on board a ship, her life as she knows it has irrevocably changed. She is told that she is the daughter of the Pirate Queen, not the cultured young woman her father has described all these years, but of course she can't believe that. She has always striven to be prim and proper, someone her mother would be proud of. But as events unfold, it seems that the salty sea dog may be telling the truth - and Polly surprises herself with her unexpected swashbuckling skills. What a fun story! Polly seems at first timid and easily frightened, but we quickly learn that there is much more to her than meets the eye. She is strong and thinks quickly and creatively. She learns a lot about herself in the course of the story, and comes to reevaluate the things she has believed to hold the most importance, coming to some startling conclusions. There is action and adventure, characters who at first may seem stereotypical but reveal themselves to be anything but, and the unexpected flashes of humor one expects from a Ted Naifeh tale. Polly is a likable heroine, completely different from but no less sympathetic than Courtney, and her salty sea dog companions are a lot of fun. Her adversary, the handsome but nefarious illegitimate son of the legendary Pirate King, surely has more tricks up his sleeve, but sadly we'll have to wait for the next installment. The artwork is whimsical, evocative, and - particularly in the intricately depicted scenes of the town, with its docks and many buildings, very atmospheric. 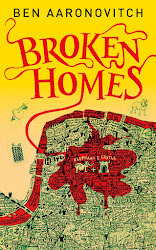 It worries me that there have been no more books published since this one came out in 2006 - I hope he'll write more in the series! Still, this one does end with a satisfying conclusion, so it's definitely worth reading all the same. Girl Wonder: "The art is clean and the layouts are intuitive to follow. Polly is sure to charm adults and children alike." 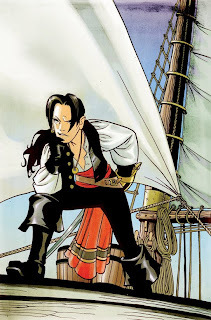 Read About Comics: "Fans of Courtney Crumrin shouldn’t be disappointed that Naifeh took a detour into Polly and the Pirates; rather, they should be excited that now they have a second Naifeh-created series to fall in love with." Yet Another Comics Blog: It's standard hero journey stuff, but Naifeh really makes the story come alive with wit and adventure and interesting characters." Sounds good! I've come to really appreciate Ted Naifeh's art especially. He took a big break between the 3rd and 4th? (I think it was) Courtney too. So hopefully it's just his habit. 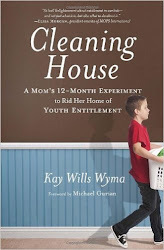 Will add this to the impossible-to-ever-get-through-but-won't-stop-trying TBR list. Nicola - My TBR list is daunting, too. One book at a time is my motto, though! :-) I hope you're right about the big break. I looked through his website and saw no mention of future Polly books, but I'm hoping for the best.